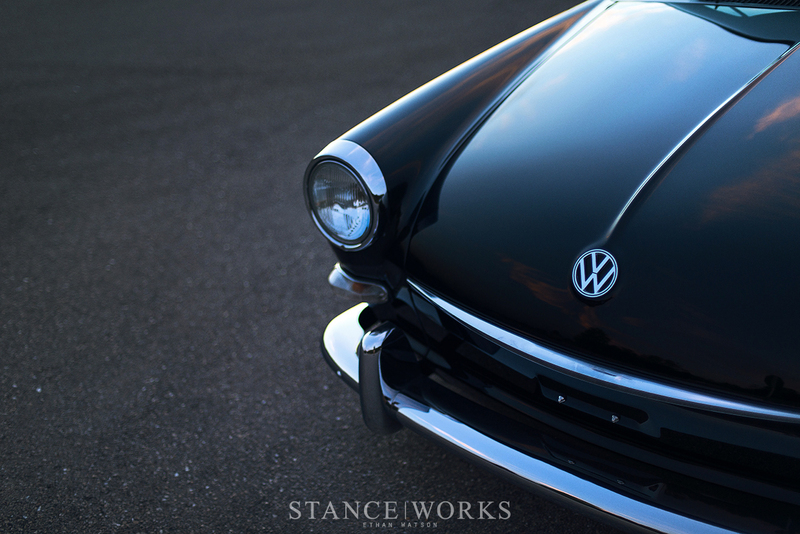 At the beginning of March, we took a look at Mike Unland's 1959 Beetle, which stands as a testament to his detail-centric nature. 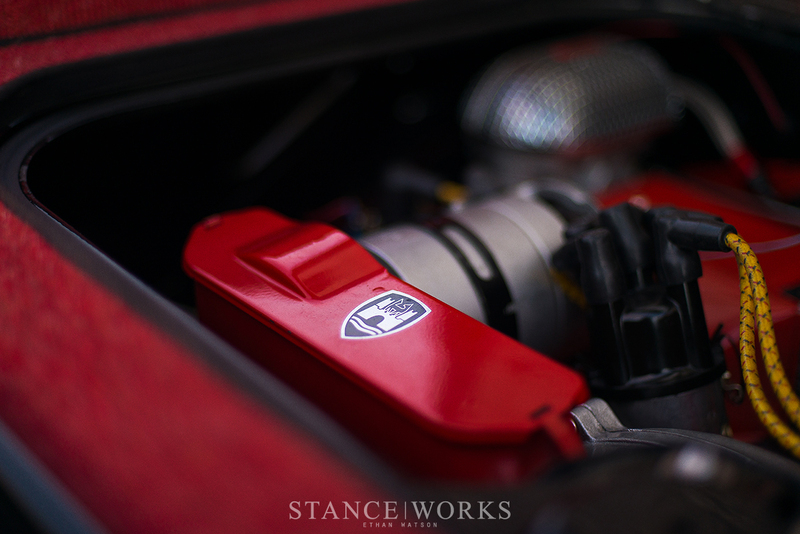 While most aircooled fanatics would be proud to own just one car of Unland's caliber, Unland's own garage continues with more than just one aircooled creation. 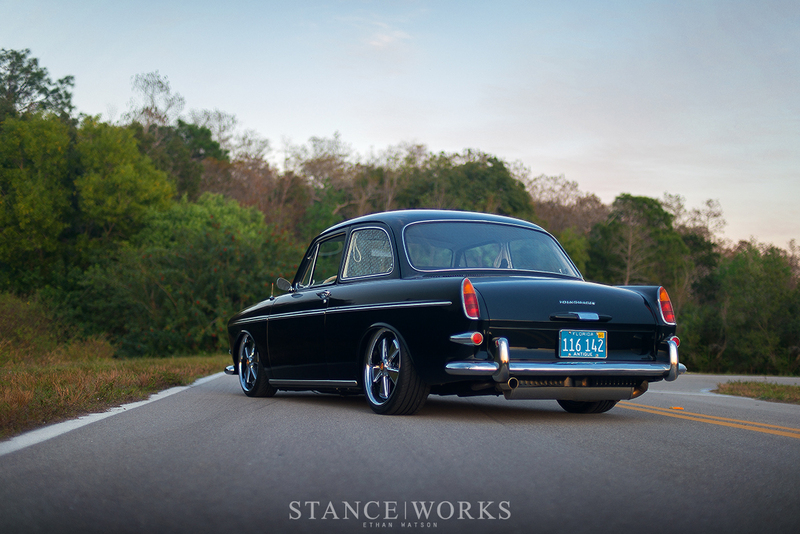 However, his second build is stark in contrast to his bagged and stylistic Beetle - a 1966 Type 3 Notchback catered to the more conservative fans of the marque. 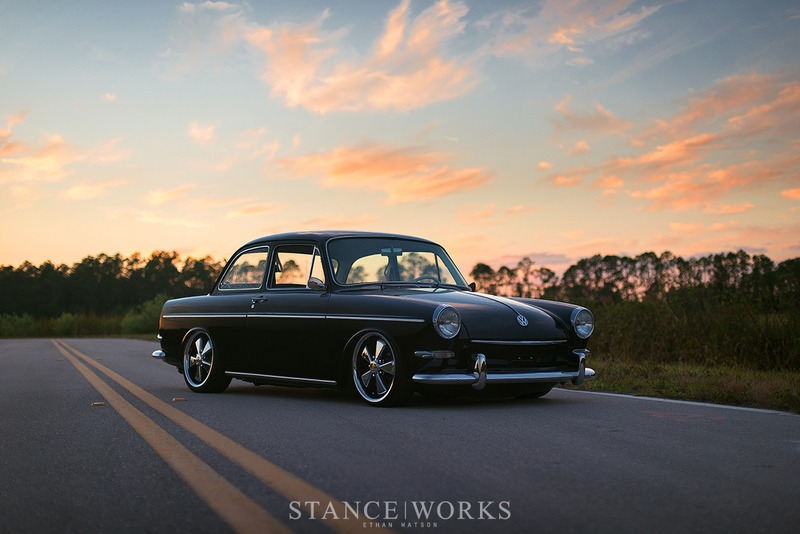 Rich with the same detail work that set his Beetle apart from the rest, his Notchback helps to set a standard for restorations as these beautiful classics continue to grow in age. 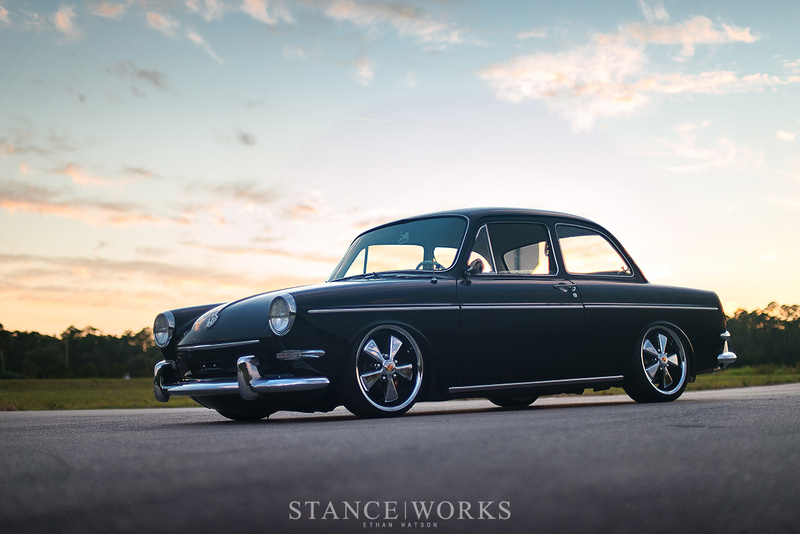 Over a year ago, when I first saw his Type 3 Notchback, I was captivated. The quality and craftsmanship of the entire restoration was incredible. Both inside and out, from the running gear to its hopped-up aircooled heart, Mike Unland clearly put tedious time and effort into making this car stunning in every regard. 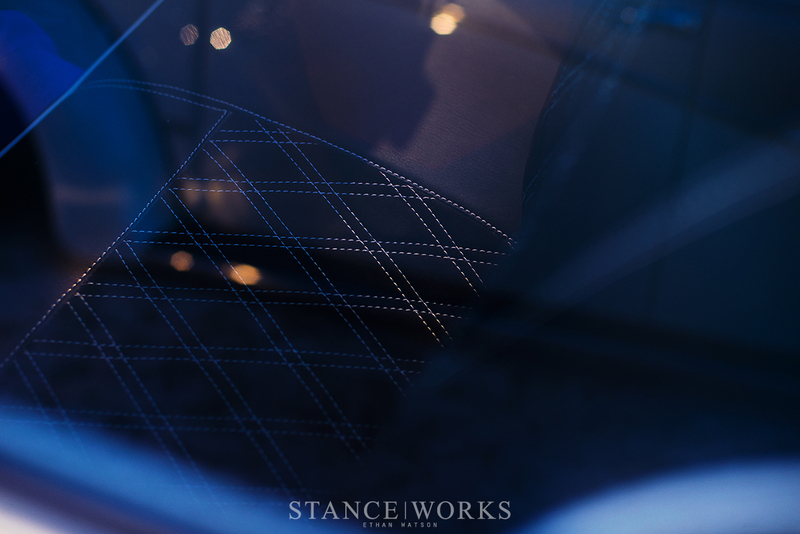 Finding a place to start proves challenging, as nearly every part and panel of the car has received the Unland touch. Starting with the underpinnings, Unland took to the suspension, adjusting the torsion bars to lower the car modestly, keeping in line with the conservative classic look. Custom 2-1/2” welded drop spindles from Old Speed in California help to correct the steering caster issue that results from the torsion re-adjustment. 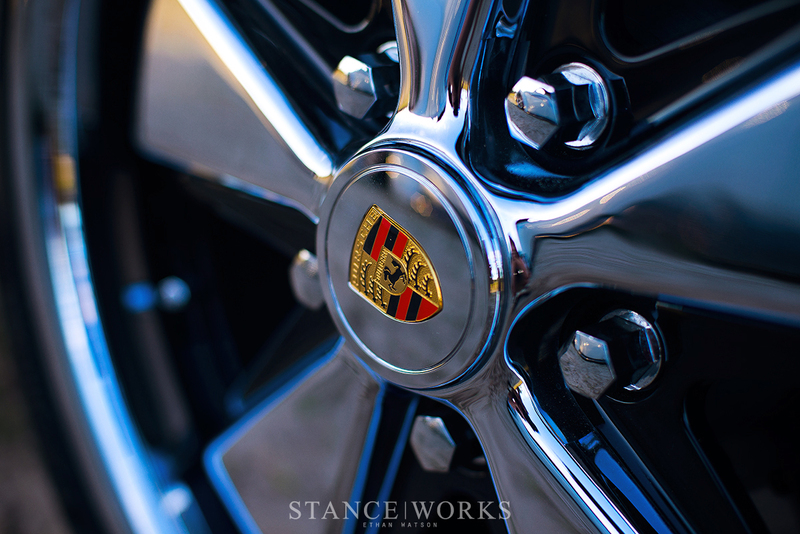 The front also has an Old Speed front disk brake conversion, which includes cross-drilled rotors in a Porsche 5x130 bolt pattern along with Willwood calipers. The rear has Airkewld’s 5x130 disk brake conversion to match, giving the notch stopping power that quite out-classes its powerplant. The 1914cc engine is running dual 40mm Webers, topped with Ramair filters imported from Australia. The exhaust is a custom stainless unit sourced from CSP in Germany. 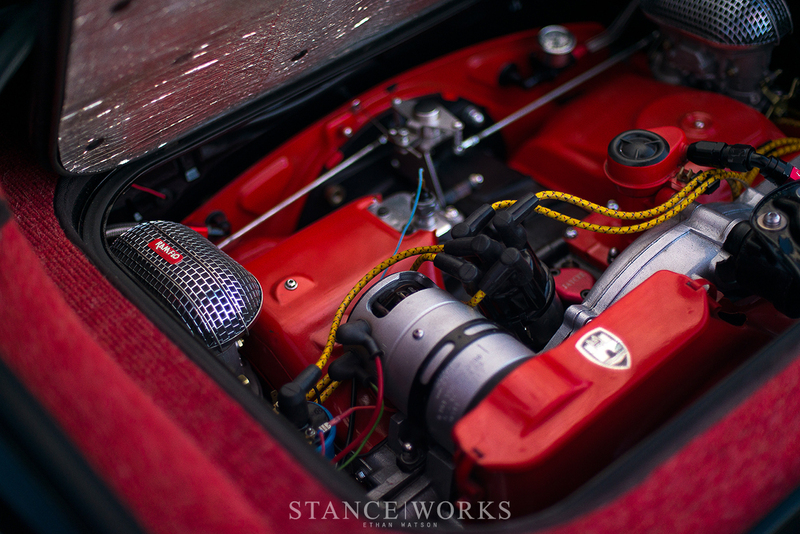 To bring it all together, Mike had the metal powder coated red in an aim to compliment the car's custom carpet and interior. While contemplating interior trimmings, Mike went through details of early Porsches. His final decision ended with a custom red German square-weave carpet with black twill bound edges. To tie the bow on the interior, Mike had the seats re-covered in a thick, garment-grade black leather, unlike its original auto-grade leather. 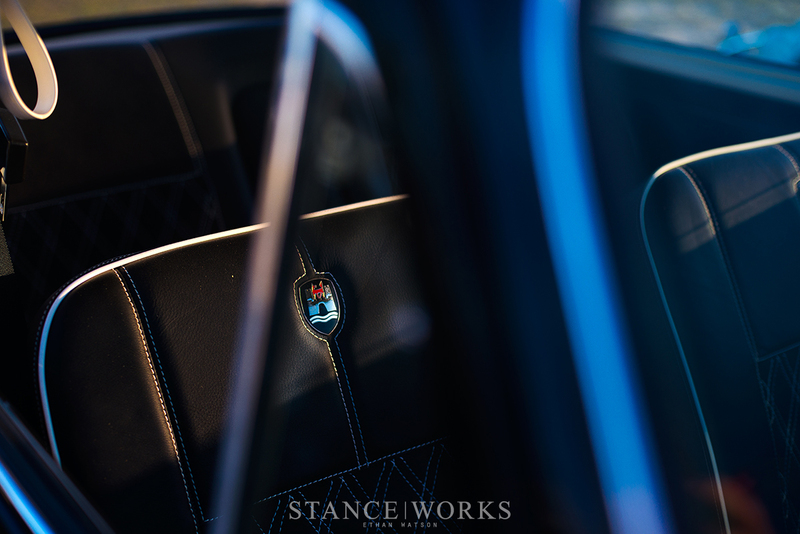 The seat inserts are black alcantara with a bright white double diamond stitch to create an incredible contrasting outline. 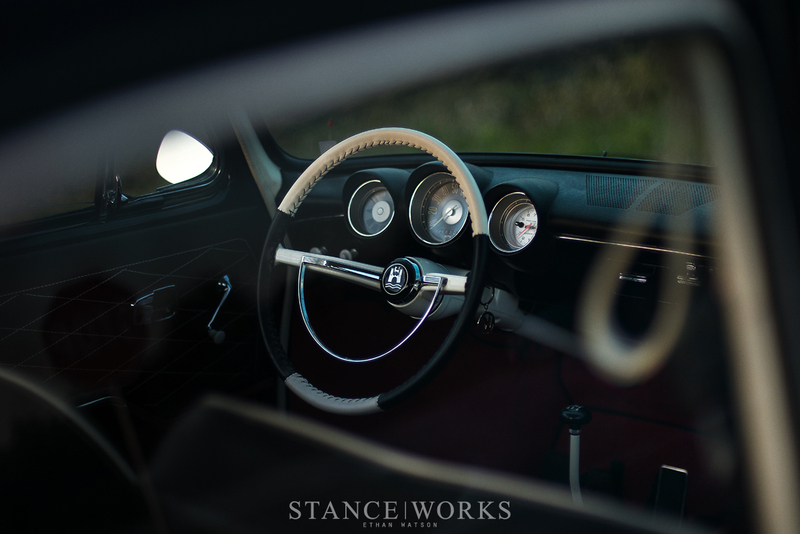 To further push the interior theme, he had Beetle Wolfsburg crests inserted into the seat back rests. 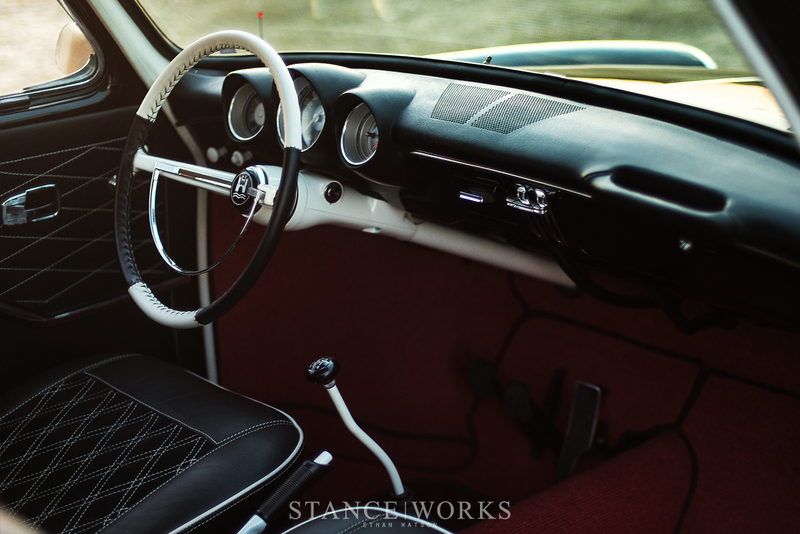 The steering wheel of Mike’s Type 3 also adds to the look, wrapped in a two-piece white and black leather combination using a baseball stitch pattern. 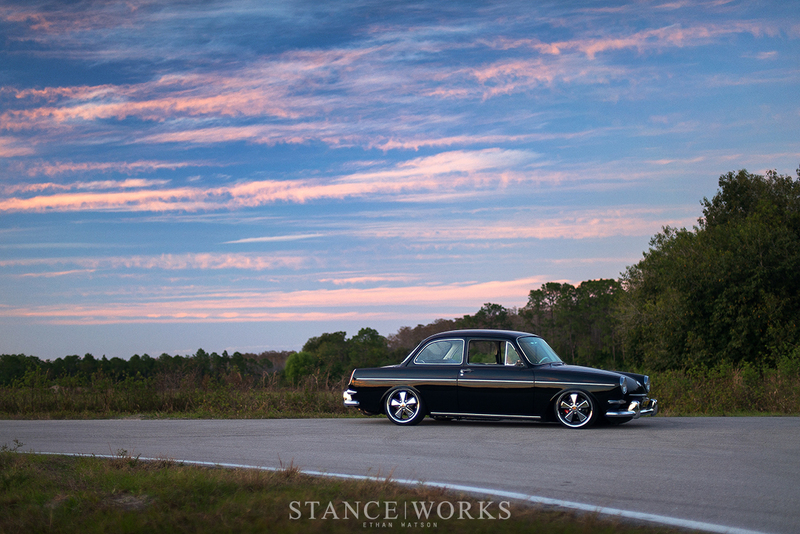 Aside from subtleties on the outside of the car, Mike sought only one simple change: wheels. 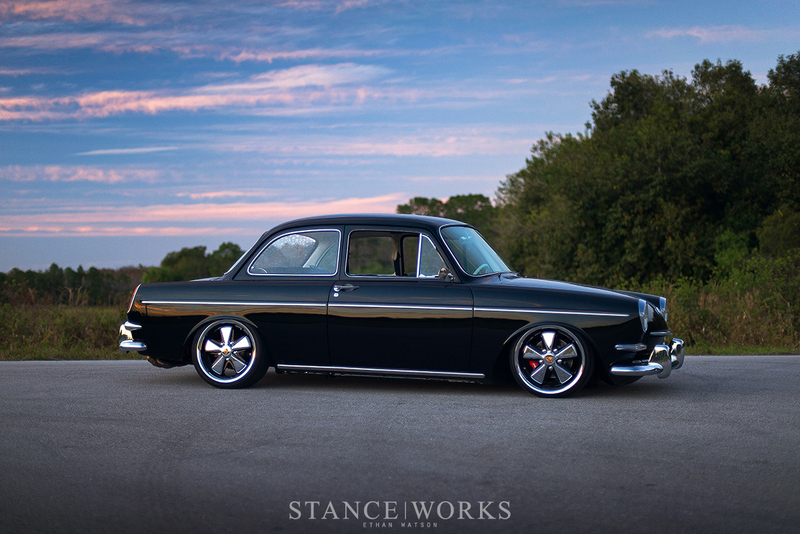 To keep with the classic yet custom look, Mike custom detailed his Fuchs to match the Type 3’s paint. The center caps of the Fuchs are a unique touch too, purchased from Boothe Design. 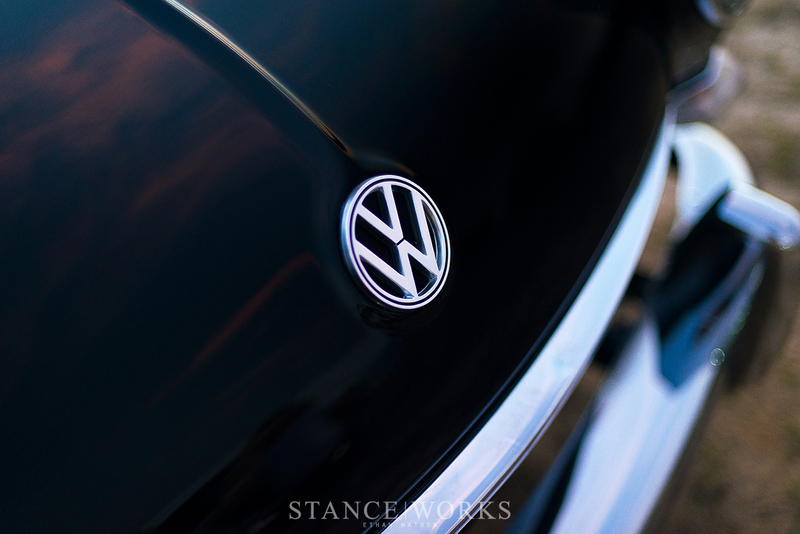 They use original Porsche hood badges for the emblem inlays of the caps, offering an OEM hybridized look to the package. Though there may be a lot done during this restoration, Mike has done a fantastic job of not over doing it. 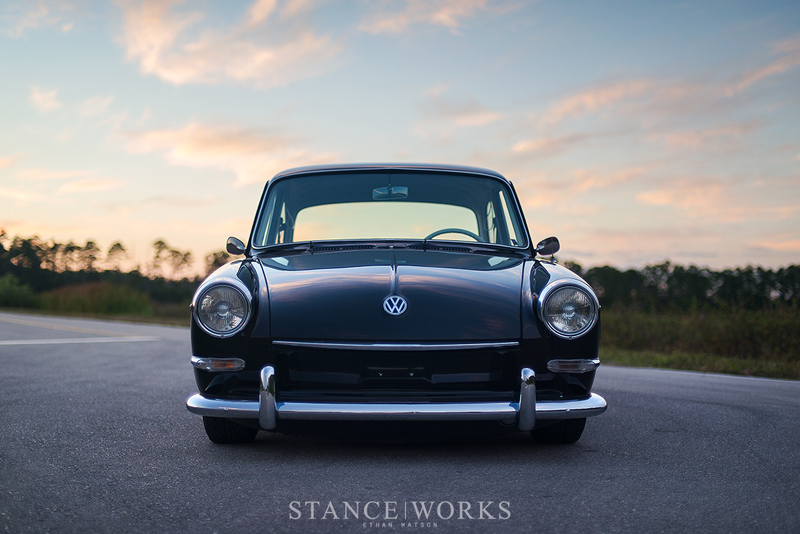 The Type 3 Notchback is a true Volkswagen classic, and Mike’s is a perfect example as to why.